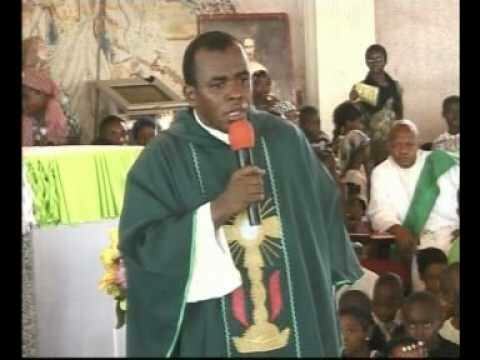 The Catholic Church has distanced itself from from the Spiritual Director of the Adoration Ministry, Enugu, Rev. Fr. Ejike Mbaka following the statement made against the Vice Presidential candidate of the Peoples Democratic Party, PDP, Peter Obi. The church noted that it is apolitical and it’s wrong for any priest to support a political candidate in an electioneering period. “The diocese is not in support of any priest making political statements,” he said. “The church is supposed to be apolitical and the Bishops’ conference has said that repeatedly. “We are not supposed to make any political statements from the pulpit within the context of Mass, that is, church service. “So, it would be wrong to stand at the pulpit to make any political statements. “There is a document issued by the Bishops’ conference to that effect. Father Mbaka had told Obi to name a project he would do for God after Dave Umahi the Ebonyi state governor and others had donated several items to the ministry. But Obi reacting to Mbaka’s request said that he (Mbaka) should show him a project they have in mind and he will communicate to the ministry later. Angered by Obi’s statment, Mbaka said that Atiku/Obi might end up in shame the way they were going. He described Obi as a stingy man, noting that if they did not change before the 2019 general elections, they are likely to fail.